The Ladies Vs Ricky Bahl and Ishaqzaade star, Ms Parineeti Chopra has been rumoured to have been charging a lot for her performances. She reveals all in a recent interview. What about the rumours circulating that she lowered her price for the New Year’s performance? ‘It’s absolutely ridiculous. I am glad that people are talking about how much money I am making, but it’s untrue. The reason I am doing this performance is because I am getting three times the amount that I normally make for a stage performance. And it’s strange to talk about money since it’s a personal thing,’ PC declares. 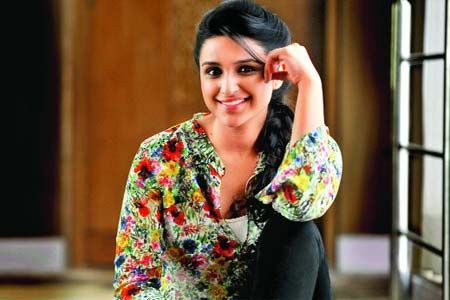 Parineeti elaborates further, ‘Why would I do that? Why would I waste my New Year’s Eve performing for an amount that’s not my normal asking price? I am making much more than I normally charge. I don’t want to quote a figure, but I feel that’s the main reason why artistes go in for such performances. So there you have it – Parineeti’s future and current plans all in one place! Stay locked to BollySpice for more Bollywood ghap-shap! 17 queries in 0.574 seconds.